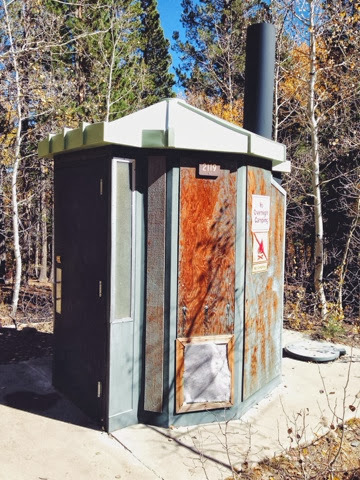 Looks like John Boehner missed a spot: the outhouse at the U.S. Forest Service's Lundy Canyon trailhead was open for business today (Oct. 11). And a ton of people were parking and hiking there and no one was issuing citations. In fact it appears a lot of the forest service land around Mammoth is accessible. Not sure about Reds Meadow Road yet -- no one seems to have any info. 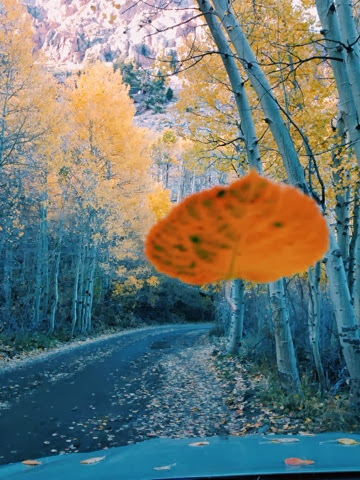 But I think it's going to be a good weekend with fall colors peaking. Lot of pics already on my big boy camera I'll download at home next week. 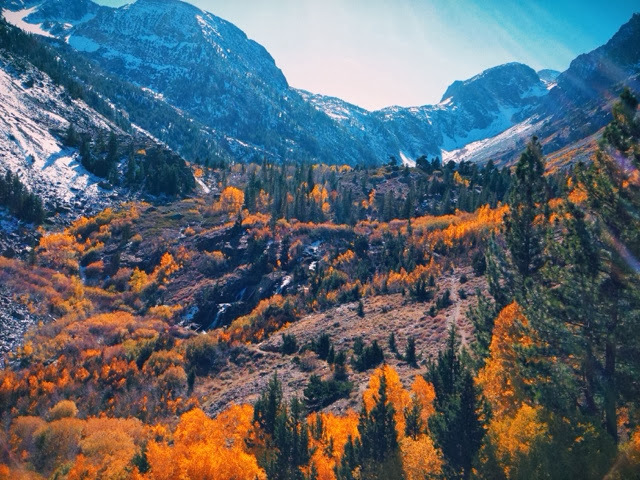 Nice fall colors in far northern L.A.